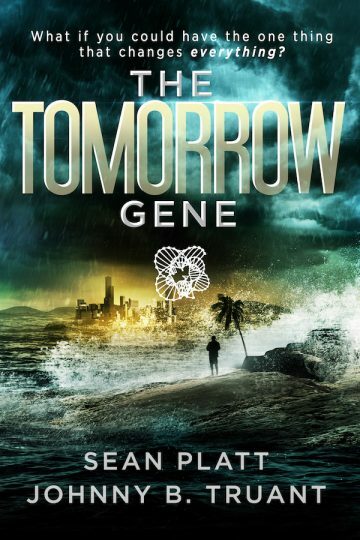 Ephraim Todd has landed in paradise: Eden, the largest artificial archipelago in the world, home to The Evermore Corporation, a company that’s created the Fountain of Youth, if rumors are to be believed. Eden offers the ridiculously rich and super-famous genetic enhancements and modifications that the rest of the world can only dream about. But Ephraim is on Eden for another reason. He’s obsessed with finding his brother who disappeared more than a decade ago. He’s sure he’s on this island, which is why he’s been trying to get to there for years. But Eden doesn’t surrender its secrets easily, and when Ephraim stumbles upon a disturbing truth, all of his evidence mysteriously disappears. He knows they’re onto him, but is suddenly unable to trust his own mind. Ephraim is left wondering if the world around him is falling apart, or if it’s just him. Ephraim believes that he’s on a quest to find his brother, but in truth, he’s on a journey to discover himself. And what he finds will turn his entire life into a lie.